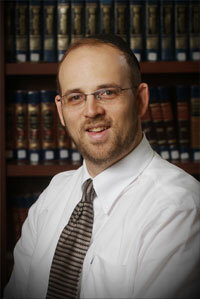 Rabbi Freitag is the director of programming for the Kollel Dome in Dunwoody. His lectures and classes have achieved a significant degree of popularity in a very short time. The Kollel Institute which he teaches and founded has now spread to cities nationwide. His Shabbat beginner services in his role as - The Unintimidator - have a large following as well. His activities include all aspects of Kollel Dome programming as well as numerous home groups and other unique study programs. While Rabbi Freitag loves the South, he is a closet Yankee fan. He enjoys cholent making, anti-missionary work, and sour pickles. His wife Rivka is a part-time actuary with Merlinos and Assoc. and full-time mom, who makes time to give classes as well as tutor and provide guidance for women in Dunwoody. Their kids range in age from, "How soon do I get my driver's license?" to "Look at the pretty picture we painted on the wall!" Rabbi Freitag received a BS in Psychology from SUNY and a Masters in Talmudic Law from the Ner Israel Rabbinical College.